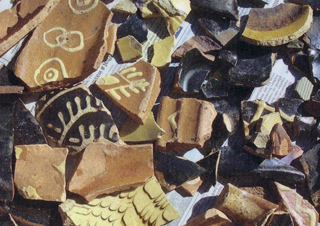 The medieval pottery from Mellor was examined by the author in 2005. The assemblage consisted of twenty-four sherds weighing 154 grams representing a maximum of twenty-two vessels. 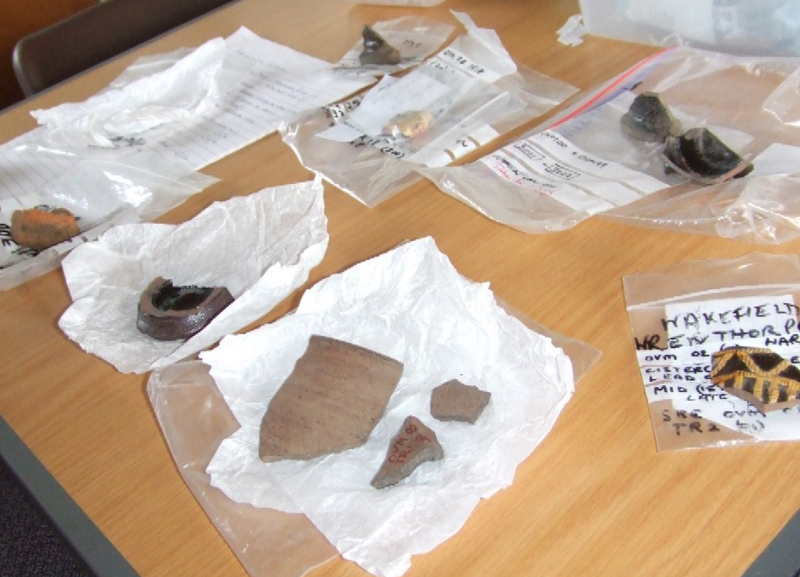 Very few of the medieval sherds were identifiable to a recognised ware type, in part due the relative lack of other medieval sites excavated in the area and the absence of a regional type series for Greater Manchester. The sandy and finer Gritty Wares are distinguished by the texture and density of quartz inclusions but have in common a bright orange colour either throughout the sherd or internally and externally. In this they resemble other examples of medieval pottery from Derbyshire. Of the identifiable sherds, the rim sherd in Buff Gritty Ware was the most distinctive. The form of the vessel resembled examples from West Yorkshire where the flat topped, clubbed rim is typical of cooking pots dating to the later 11th to early 13th century (Cumberpatch 2002).